For those of you that read the tutorial last week, welcome back... As for the others, if you want to complete this tutorial properly, go and read last week's now! 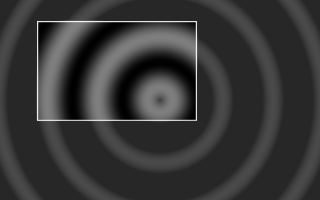 This week, I will explain per pixel control, the way most 2D effects work. You will also learn the basics behind the sine function, and we will code a simple plasma effect. 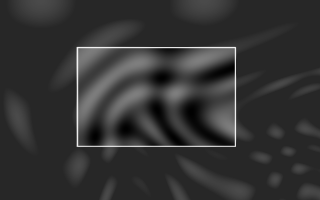 The pseudo-code above is the generic form of an effect with per-pixel control. This essentially means that we can set any pixel to any value we want. And this is where artistic skills and mathematics meet. The trick is to be able to think of a cool effect, to describe it in a mathematical form, and then somehow manage to render that in real time. And believe me, most of the time you have to settle for an effect that's about a quarter as cool as you imagined :) Another way to create effects is to combine existing effects together, but that's understandably not as original, but still impressive. One major disadvantage of hardware acceleration is precisely that per pixel control is made very tedious. But more on that topic later, since I will probably be irresistibly drawn into the heated debate between software and hardware rendering. I won't go into much detail, firstly because it might get you confused, and secondly because HTML isn't ideal to represent mathematical formulae (fair enough that's not a good excuse, but it makes me wonder about the efficiency of Office 2000 :) Anyway, the sine function looks like this. This function has a period of 2 pi, which means that every 2 pi up to infinity, it will repeat itself identically. However, you benefit from extra speed if you restrain the argument of the sin() function from 0 to 2 pi. Additionnaly the sine function always returns a value within the interval [-1,1]. Also note that sin( 0 ) = 0 and sin( pi / 2 ) = 1, and that the function grows strictly over that interval. This property is used for sine interpolation... Even though it's not used very often, I just thought I'd mention it for those of you that read last week's tutorial. 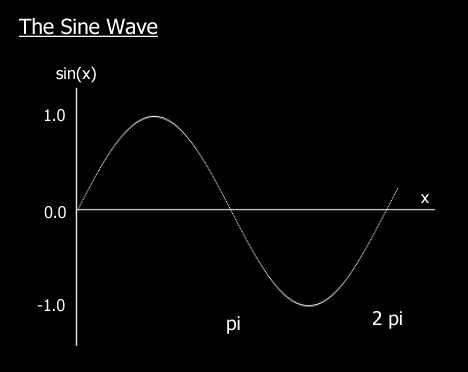 The cosine wave is very similar to the sine, except that it is translated by pi/2. The sine is also the derivative of the cosine. Remember last week's stuff about precalculation, well the plasma is a case where precalculation would be extremely helpful. I'd rather not imagine calculating multiple sines per pixel in real time. You will notice that both functions are contained within the interval [0..127]. Also, when you make up your own functions, watch out for the divide by zero error. 1) Generate any palette with smooth colour transitions, and test the result of the plasma function for overflow (make sure it's in the palette's range). But using a compare instruction per pixel would be slightly slower. 2) Create the same sort of palette, but we choose and precalculate our functions so that they always return valid values that will lie within the palette range. No compare instructions are needed. This method would work for the two functions above. 3) Generate a palette that wraps around itself, i.e. the last colour is the same as the first. The advantage is we don't need to care about how we generate our functions, and no need to clip the result either. Another important reason to use this method: if we add 4 pixels at a time to gain speed, we would not need to bother with overflow. There are no limits to your imagination now: you could invent any number of functions, precalculate them, and add them together or use any other operation you can think of to generate the plasma. You could also create an image in Paint Shop Pro, and add that to your plasma function, like I did in the example.